Lying in the centre of New Jersey’s business district, and close to Penn Station offering good connections to the International airport and a short distance to NYC Manhattan. The centre boasts many onsite stores, gym, and restaurants. Many business services available with great city views. 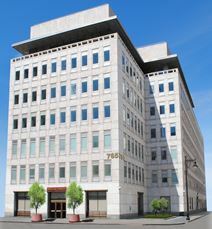 Right in the heart of Newark's central business district, this fantastic business center location provides office space over 15 floors, just minutes from Newark Airport, Penn Station and Manhattan. Typical floorplates are 15,000 sq. ft. and access is 24/7. In the heart of Newark’s central business district, this center is 15 stories of ideal space and is easily accessible due to the excellent local transport services. 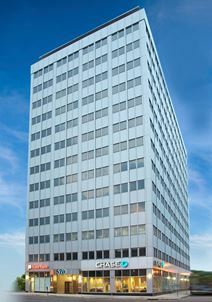 Located in the very heart of the area's thriving and commercially significant central business district, this incredible business center location was built by Prudential in 1957 as a sister building to their world headquarters and now provides a variety of exquisitely furnished and highly prestigious office spaces for multiple professional tenants. Recently renovated it is an ideal location for any kind of client. 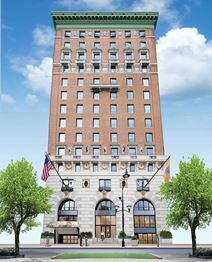 Featuring a new front façade as well as new and restored exterior windows, it is a prominent fixture on the Newark skyline. Offering commanding views of the surrounding city, New York skyline and Military Park, the landmarked property is ideal for expanding Newark-based companies as well as New York-based firms seeking to reduce the cost of doing business in close proximity to Manhattan. Tenant services are complemented by the array of first-class accommodations, as well as business and banquet services and amenities, available nearby. 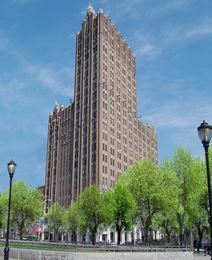 The management also offers total build-outs at landlord’s cost which is not common for office buildings in Newark. Just blocks from the locally central Penn Station this exceptional and state of the art office building provides space for a number of prestigious clients or professional occupying tenants and offers a number of well-appointed office suites and workspace solution packages as well as an on-site restaurant, a stunning exterior roof garden and a state-of-the-art on-site fitness center and health club available for all occupants as standard.